My hand mixer is broken. Oh yes. One night I was making a ginormous batch of muffins... and when it came time to mix it all up, my poor mixer flew out of sink and started clashing against its own blades. Very sad. It was a wedding gift (so it is only four years old... they just don't make them like they used to), and it even had one of those cool retractable cords. I cannot even tell you how sore my arm was after mixing that bad boy. We are talking like a quadruple batch of muffins. No easy task! Ever since I've been on the market for a used mixer, checking out yard sales and such. One day soon I hope to have this lovely appliance replaced, or even better, get a super cool Kitchen Aid stand mixer!!! In the mean time, here are a few tricks I've discovered while making due without it. Think about it- a hundred years ago they probably did not have these nifty little appliances, and somehow they managed. Soften your butter ahead of time. This seriously takes almost all of the labor out of mixing. If I know that I'm going to bake a batch of cookies, or whatever else, a couple of hours in advance I thaw my butter on the counter. Never bake without your husband. When my arm is tired of mixing, I call in my husband as reinforcement. He can seriously whip whatever it is I'm mixing into shape. Thank you, strong Niall! Think and plan ahead. Not only are you setting the butter out early, you also have to think about the ingredients you will be mixing, what will be the easiest way to add and mix them manually, etc. For example, mixing just the butter and eggs before adding your sugar, just to break it into more bite sized, manageable pieces. Mentally walk through the recipe and make things as easy as possible. That's all I've got. Have you had to make due without a major kitchen appliance? What tips and tricks did you learn from the experience? Linked with: Growing Home, and Time-Warp Wife. 1. If you keep mixing by hand, you won't need to lift weights! 2. Why wait until your arm gets tired? Ask Niall first! Love you three! Hahaha thanks Cindi! :) Sometimes I do just skip straight to the punch and ask Niall :). I think he misses the mixer more than I do ;). Love you too! I have to say, you can get used to this. 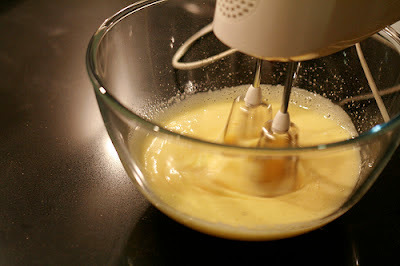 I use my mixer for one thing--Mashed Potatoes :) Weird, I know but I like them to be whipped. I also usually use my mixer for meringue, just because it's a lot easier than trying to do it by hand. I will add that I use a wire whisk a lot, although that only works for relatively thin stuff.